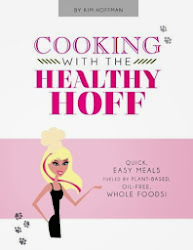 The Healthy Hoff: Tree Hugger's Cafe Opens in Oberlin! 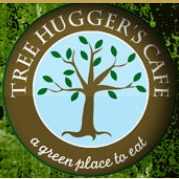 I love the Tree Hugger's in Berea, OH & now they've opened a second location in Oberlin, OH! Tree Hugger's Cafe is a fantastic local, organic cafe/restaurant offering vegan, vegetarian and overall good for you food (they have chicken, turkey and fish as well). The owner, is also the chef and she creates fantastic food combinations with as much locally, organically grown food as she can get her hands on. It's super yummy and the staff is very friendly! A certain peace and calm overtakes you when you enter this cafe and it makes you want to be a healthier, better person. You can count on Tree Hugger's to always have an assortment of hot and cold teas on hand (black, green and white). 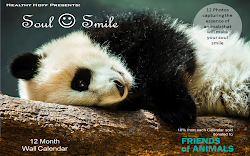 They have an organic espresso bar and organic, certified fair trade Hoot Owl Coffee. Like smoothies? They got'em! You must try the sweet potato fries with honey dipping sauce. The Great Egret Zucchini Parmesan Panini is fantastic, so is the Marbled Murrelet Mushroom Panini (substitute the mozzarella for avocado - to die for!). Their salads are so fresh and GINORMOUS - I recommend the Strawberry Kiwi Koala Salad (how can you not love the names of these dishes)! And the fresh baked vegan bakery, don't get me started (Lemon Cookie!) I've eaten here a lot, but there is so much more I need to try, check out their awesome menu. Gluten allergy? Tree Huggers can handle that. They even have gluten-free bakery! One last pitch - they have no freezer! That means you are guaranteed a seasonal, fresh meal every time!